After swimming concluded at the Pan Am Games I was shipped directly to Michigan for a dual meet against Club Wolverine Elite and University of Michigans varsity team. Our team consisted of the University of Toronto varsity team and the Toronto National Training Centre. I had a total of 2 hours sleep and a 12 hour travel day. 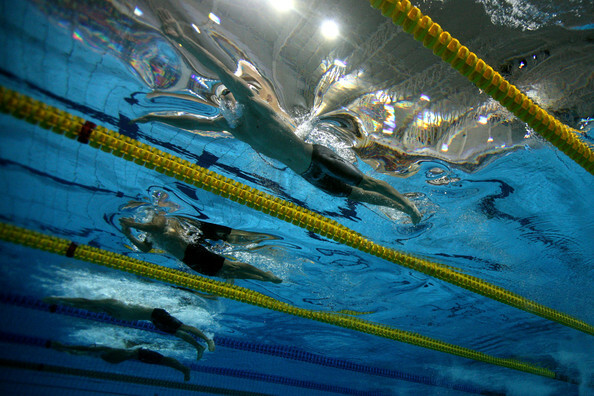 I took what I learned from Pan Am Games and immediately applied it to the dual meet ( no excuses swim like a champion). It worked fantastic and I almost went best times plus won both of my races (100 and 200 Breaststroke)...This was a non-scoring meet...but had it been scored we(National centre and Toronto Varsity) would have won by a landslide. I have been back training extremely hard since I got home and really ramping up on our weight program.. I am the strongest and fittest I have ever been... My next competition will be at Etobicoke Olympium November 25th -27th... I will post what time finals start, so if your in the area and always wanted to see me swim.... stop on by! !